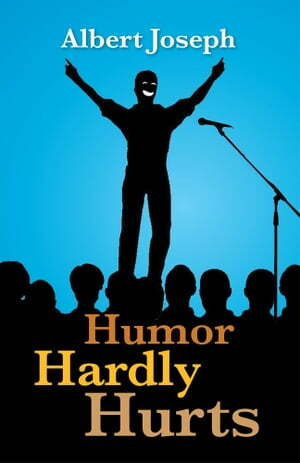 Collins Booksellers - Humor Hardly Hurts by Albert Joseph, 9781479724321. Buy this book online. Readers Digest’s “Laughter – the best medicine” is not without merit. Various medical studies have arrived at the same conclusion. Here is a book that aspires to meet the challenge. This book is a short compilation of humor that the author collected over his career. This book maybe useful for those undergoing healing, as well as, those seeking to relieve stress and just enjoy life in general. There are times when someone at a gathering or a party is asked to share a joke or two and the person could be tongue-tied. It is hoped that this book will provide the ammunition to share good humor with family friends and gatherings. Successful public speakers often start their speech or presentation with a joke, tying it to their subject and try to get the attention of their audience. The book includes real life situations and anecdotes covering a broad range of topics experienced by the author.